Sprouting from research into long term space missions, the biowall is an indoor ecosystem designed for air quality improvement. For more than 20 years science and industry experts in Canada and around the world have collaborated to find a practical, economical and environmentally friendly system to improve indoor air quality (IAQ). At the same time, researchers have established the correlation between IAQ and the productivity of workers, as well as their overall health. There is good reason for this interest in IAQ, as the U.S. Environmental Protection Agency (EPA) cites poor indoor air quality as one of the top five public health concerns, with an economic impact estimated to be more than $10 billion per year. Health Canada estimates that Canadians spend more than 80 per cent of their time indoors. A significant proportion of this indoor time is spent within the home, with the time spent in the workplace coming a close second. Today, the air in North American buildings is generally controlled by conventional heating, ventilation and air conditioning (HVAC) systems, which limits the build-up of volatile organic compounds (VOCs) through ventilation. The conditioning of this additional airflow can be very expensive, as the new air must be heated or cooled (depending on the season) prior to distribution. Under normal operating circumstances, approximately 10 to 20 per cent of the energy consumed by the building is used to condition this additional flow of air. As a consequence, many buildings may not be delivering enough outside air to the occupants, leading to a decrease in the air quality and reducing the comfort level of the occupants. Ventilation does not solve the problem of air pollutants either. Instead, it simply releases the pollutants to the outdoors to become "someone else's problem." Even with ventilation using outside air, the EPA estimates that buildings fitted with even very sophisticated HVAC systems can have indoor pollution levels up to 100 times higher than outdoors. It was once inconceivable to think of live plants as substitutes for, or enhancements to, HVAC systems, but these gifts from nature have been shown to provide many benefits to indoor air quality that HVAC systems cannot. For example, live plants provide oxygen and raise indoor humidity levels. They also help to make offices quieter and more pleasant. The presence of plants in the workplace is said to improve worker morale and productivity, while reducing absenteeism. Now, live plants are the main components of a unique air-cleaning system known as the "breathing wall" or "biowall." The "breathing wall" concept originated at the Canada Life Environmental Room in October 1994, in the head office of the Canada Life Assurance Company in Toronto, Ont. The space resembled a typical boardroom, with a long table, chairs, podium, flip chart, white board and projection screen. What wasn't typical was the lush array of exotic plants that covered most of three walls, and other plants that grew out of a type of aquarium hugging the perimeter of the room. Fish and a variety of insects rounded out the living matter in the ecosystem. The installation evolved as a direct spin-off from a research program operated jointly by CRESTech (a division of Ontario Centres of Excellence Inc.) and the University of Guelph. Michael Dixon and Alan Darlington, scientists from the Department of Environmental Biology at the University of Guelph, conducted the program in collaboration with other industrial and academic partners, to better understand how to sustain life in space. The research dealt with closed ecological systems incorporating air, nutrient and water re-circulation for the purposes of life support in a sealed environment. The Environmental Room project sought to evaluate the contribution to environmental quality of a complex, partially enclosed ecosystem. Particular attention was paid to the development of technologies and management schemes, which facilitated the biowall's potential application in maintaining IAQ, and transferring this technology to the industry. The principal component of the bio-filtration system was a porous wall, 10 sq. m (96 sq. ft.) in area, constructed of lava rock. The wall was kept constantly wet, and a controlled amount of air was drawn through by a separate HVAC system. Another component of the system incorporated areas of cork substrate and hydroponic media planted with a broad range of species. Skirting the perimeter of the room at the base of the plant community was an aquarium containing a variety of aquatic and semi-aquatic plants. Many of these were claimed to be effective in other aquatic biofilter systems. The entire ecosystem comprised about 400 plant species, 50 to 60 animal species (mostly fish and amphibians) and a variety of insects. The insect population represented a balance of prey and predator species. The plants mounted on the wall included epiphytic ferns, orchids and bromeliads, arranged according to moisture requirements and aesthetic design. Other plants leading an epiphytic existence, but on cork substrate, included philodendrons and ferns, along with other species of orchids and bromeliads. Many other plants led a type of soilless terrestrial existence in cork or rock wool substrates. These included crotons, peace lilies, philodendrons, ferns, dieffenbachia, scheffleras, begonias, dracaenas, jasmines, peperomias, hoyas and various species of Ficus. The aquarium system at the base of the wall contained a gravel substrate. This area was home to a variety of sedges, grasses, flowering rushes and cattails, as well as some species of taro; various floating aquatic plants occupied the surface of the water. Many of the aquatic plant species were already an integral part of aquatic biofilter systems. Many of the plants would rarely flower in interior conditions, and several reproduced by vegetative means, thus reducing the spread of pollen and the associated allergic reactions. Lighting was provided by natural daylight from two large windows, and artificial light fixtures located above the ecosystem. Fertilizer application was minimal, with small amounts of micronutrients, such as iron, being added periodically. Insect pests were managed using natural controls, and kept under a tolerable threshold. Mealybugs were the most difficult pests to control. In many cases, it was necessary to physically dislodge them. Large numbers of fruit flies were also observed flying around areas adjacent to the ecosystem. Hand fungus gnats tended to stay within the confines of the planted areas. Parasitic wasps were used successfully to control aphid infestations. Australian ladybird beetles were also released on occasion to control mealybugs and aphids. Dr. Darlington identified several problems that arose during the early stages of the biowall's establishment. The first was a complex syndrome of responses related to the room being inadequately sealed. Low relative humidity during the cooler winter months resulted in elevated rates of water evaporation. This led to the accumulation of salts in the aquatic system, and in turn, caused widespread salt injury to many of the plants. Dr. Darlington alleviated this situation by first improving the seal to the room and minimizing the introduction of outside air. Finally, the water supply was replaced with a system capable of generating greater volumes of very high quality water. The second problem stemmed from the need to accommodate human activity in the room without adversely disturbing the bio-filtration system. These problems were addressed through modifications in the computer system to allow for different control levels of the environment when the room was in use. The potential build-up of pollutants by the system itself was also cause for concern. To address this, comparisons were made between the levels of total volatile organic compounds (TVOCs) in the Environmental Room and the levels found in other spaces within the building. Results indicated that the rest of the building maintained excellent IAQ. More significant was the fact that there was very little difference in the air in the Environmental Room despite a very large difference in ventilation rates. This led to the speculation that the system was now able to break down its own volatile organic compounds. In 2001, Dr. Darlington received a Martin Walmsley Fellowship to commercialize the biofilter technology. The fellowship provided the seed funds for Dr. Darlington and collaborating researchers to form Air Quality Solutions, a technology company that develops and markets a biowall system known as Naturaire. The biowall technology is much more of a green machine than the breathing wall. The biowall is more fully integrated into the air handling system of the building, without including the complications of including fish and other animals. This indoor air biofilter is an interior plantscape that effectively removes contaminants and improves the living environment. Also, the biowall is designed to treat the larger volumes of air required to have a substantial impact on air quality. The Naturaire system can be thought of as a vertical hydroponic green wall, containing a range of specifically selected plants. 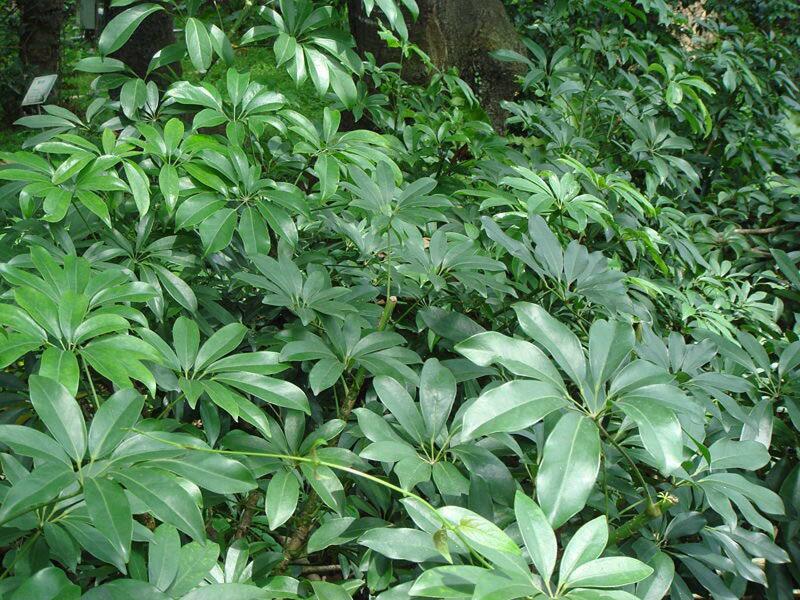 The plants include ferns and a range of flowering and foliage plants. Air is drawn through the green wall of plants, and highly specialized beneficial microbes actively degrade pollutants into their benign constituents of water and carbon dioxide. Clean air is then distributed throughout the space by a mechanical ventilation system. Up to 90 per cent of common indoor pollutants are removed, significantly improving IAQ. Research has shown the biowall to be an effective way of removing indoor pollutants. The actual impact of any given biowall on air quality is dependant on a number of factors. The size of the biowall relative to the area of space being treated (1 sq. ft. of biowall per 100 sq. ft. of floor is usually considered as a typical ratio), the rate at which new air is brought into the space, the activities and the types of pollutants present all influence performance. Other biological and engineering factors also influence the performance of the system. However, it should be expected that the biowall could reduce concentrations of a number of indoor pollutants by over 50 per cent in a typical home. Research on the system continues at the University of Guelph, in collaboration with Air Quality Solutions, to investigate the use of plants for Advanced Life Support (ALS) during long-term space missions. The work includes projects at the Centre for Research in Earth and Space Technology, the Canadian Space Agency and the European Space Agency. The biowall technology is extremely flexible in its design, making it adaptable for use in a variety of settings, such as in condominiums, houses, classrooms, hospitals and office buildings. Some notable installations can be seen at the Robertson Building on Spadina Avenue in Toronto, the Integrated Learning Centre at Queens University in Kingston, Ont. and the Toronto and Region Conservation Authority. One of the more recent and very impressive installations of the Naturaire biowall system is located at the north campus of the University of Guelph-Humber in Toronto. This biowall is 33 ft. wide by 54 ft. high, or 150 sq. m, and is integrated into the building air handling system. Landscape Ontario Interiorscape Commodity Group provided more than 40 hours of consulting time on this project and will continue as consultants as the installation matures. In return, the University of Guelph-Humber and Air Quality Solutions will provide the Interiorscape Group with information generated on the integration of the plants into the indoor space, as it relates to pest management, plant growth under the existing range of light levels, and overall air quality improvement. Fred Prescod is a freelance horticultural educator and consultant. The article is based on information supplied by Dr. Alan Darlington, Department of Environmental Biology, University of Guelph.